Turtle neck, Primark. Jeans, Topshop. 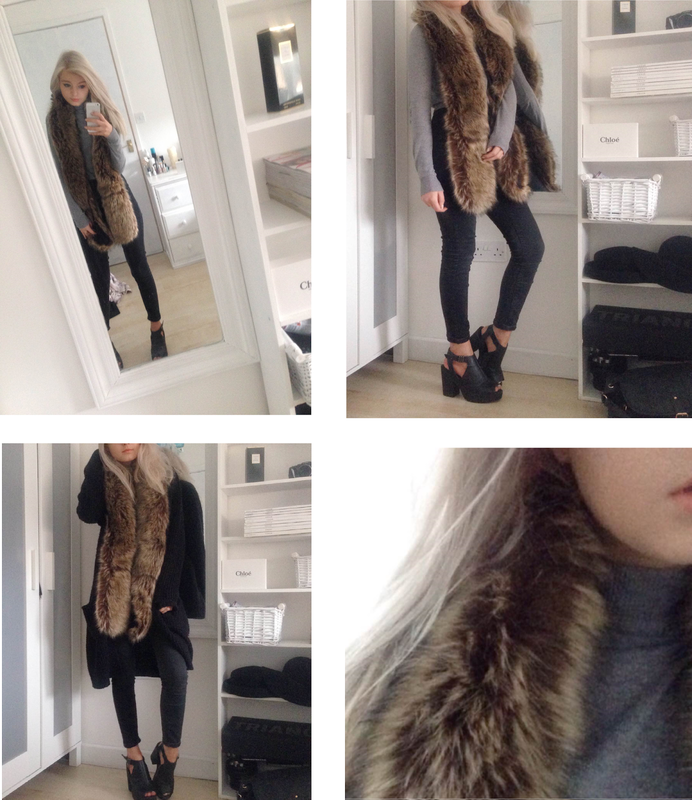 Faux fur scarf, knit & shoes, New Look. Oh how I love autumn/winter weather and getting wrapped up in faux fur, wearing turtle necks and investing in knitwear. Christmas lights are being turned on, Christmas music is playing in the shops, I have already got my advent calendar sorted(22 years old and what).. oh and most importantly I had my first Gingerbread latte at Starbucks in their famous red cup. Christmas is here and I am loving it already. Love this look. Real winter inspo hear. You have a wonderful blog, new follower!